I would like to thank my professor, Internship advisor, for giving me an opportunity to do internship and his continuous support to achieve this task. I take the privilege to thank Mr.Adnan Javed, Manager Business Controlling and Mr.Ali Mannan Rashidi, Commercial Executive, ABB Pakistan for giving me an opportunity to take up the internship. I am grateful to Mr.Mohsin Ali, Sale officer for his insightful guidance and support in completion of this task. I would also like to thank staff of ABB for sharing their valuable knowledge with me. Last but not least, I wish to express my gratitude to all those who have lent a helping hand, directly or indirectly, for the successful completion of the project. 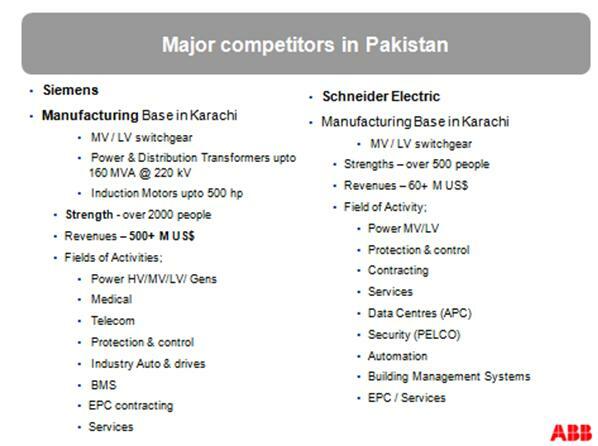 ABB is a multinational and world largest engineering company that provide different Products and services to utility and industry customers.ABB is pioneer in many products by conducting advance research through their R&D centers by using advance technology and spending 7% of their total turnover in R & D.ABB gives customers value by keeping them in their strategically part that their customers become ‘front runners’ and more competitive.ABB work with a aim to continuously improve the co-efficiency of products,system,services and to share more advance technology with the developing countries. 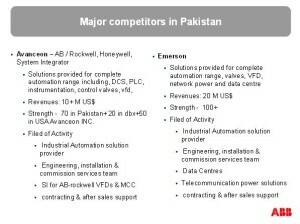 ABB has three major field of business included ABB power technologies, ABB automation technologies and ABB Oil, Gas and Petrochemicals.ABB has A-Z types of products.ABB continuously improve its revenue from past five years in Pakistan. As an Intern I understand the complete flow of work with in different departments in ABB.And have a great exposure after doing work practically. 1883- Ludvig Fredholm established Elektriska Aktiebolaget in Stockholm as manufacturers of Electrical Lighting and Generators. 1890- Elektriska Aktiebolaget merges with Wenstroms and Granstroms Elektriska Kraftbolag to form Allmanna Svenska Elektriska Aktiebolaget later shortened to Asea. 1891- Charles E.L. Brown and Walter Boveri established Brown, Boveri & Cie (BBC) inBaden, Swizerland, which was the 1st company to Transmit High-Voltage AC Power. 1932- Asea builds the world’s largest Self-Cooling Transformer and expands fan business by acquiring AB Svenska Flaktfabbriken. 1988- Asea and BBC merge to form ABB (Asea Brown Boveri Ltd.) one of the largest Electrical Engineering Companies in the world. A new simpler ABB-Simplification of structure for enhanced operational efficiency, cost rationalization and core competency focus. ABB is a leader in Power and Automation technologies that enables utility and industry customer to improve performance while lowering environmental impact. In 2002, ABB simplified its organizational structure with the key objective of levering its domain expertise and building on a clear Market Leadership in Power and Automation Technologies. This reorganization will enable the company to serve its utility and industry customers across the value chain with our world class products, system and solutions, faster and more efficiently. Strategy-Build on our Leadership in Power and Automation technologies for utility and industry customers. Culture-Shared Invention-“our ABB”, open communication and dialogue, fast decisions, execution, disciplined culture, acting in the overall interest of ABB. Structure-Slimmer structure reduces complexity and reflects focused portfolio. People-Leadership based on respect for values, trust and accountability-say what we mean, mean what we say. Well positioned geographically. Over 50% of revenue base is in high growth emerging markets, especially China & India, where population growth and urbanization is demanding investment in infrastructure. 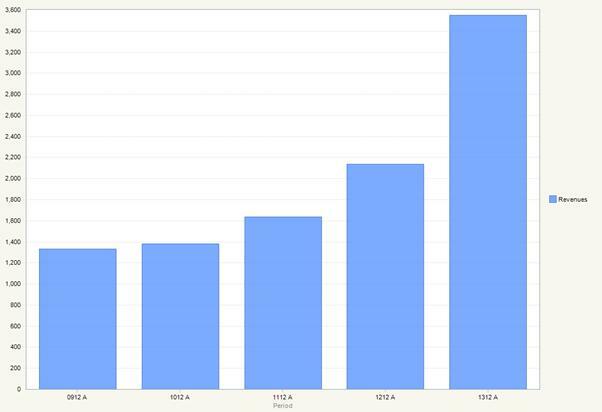 Per capita consumption of power in India estimated increase from 650 KWH in 2006 to 1000 KWH in 2012. Questionable management has a history of overpaying for acquisition and not delivering synergies on prior deals. 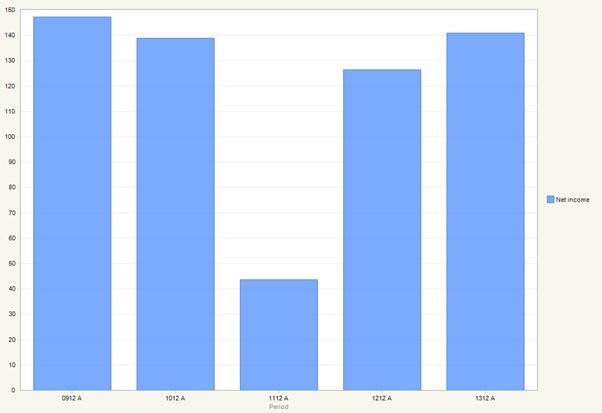 … “History of Overpaying for Acquisitions” will have a long-term negative impact on this entity, which subtracts from the entity’s value. These statements will have a short-term negative impact on this entity, which subtracts from its value. A strong balance sheet may serve as a catalyst for acquisitions. 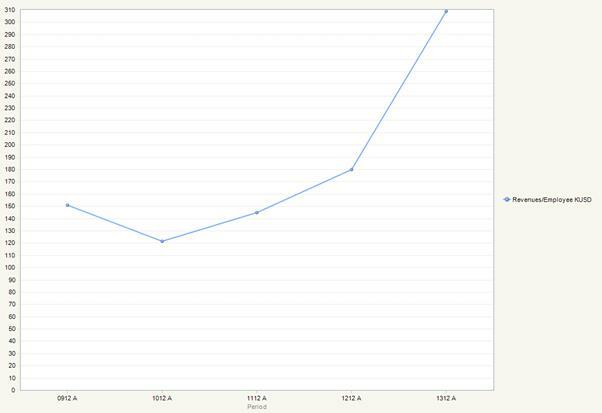 Roughly $9B in cash and $2B in debt, as of 2010. This opportunity could lead to acquisitions, buybacks, and special dividends. … “Strong Balance Sheet” will have a long-term positive impact on the entity, which adds to its value. These statements will have a short-term positive impact on this entity, which adds to its value. Additional regulation will increase the demand for companies in the environmental services industry. From green house gases to water security, regulation is meant to protect the environment from over use and abuse. 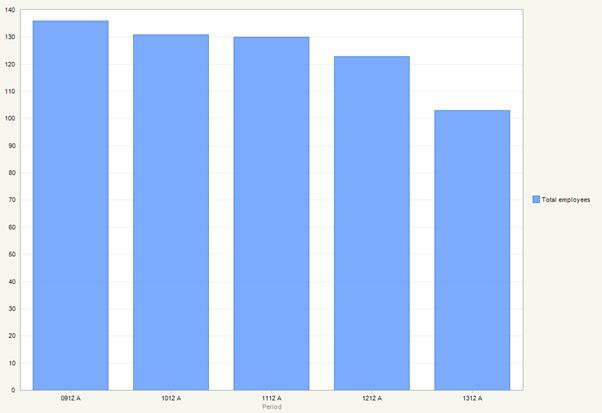 … “Environment Regulation” has a significant impact, so an analyst should put more weight into it. State & federal budgets are under pressure, which may slow down replacement sales and put overall sales at risk. Equipment, Installation, Testing, Commissioning and Energisation etc. 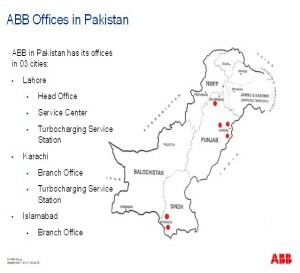 ABB also deals in Low voltage Products included circuit breakers and switchboards etc for consumers like House hold, Restaurants and offices. High Voltage Direct Current Systems. ABB also provides a complete range of equipment for Power Distribution, from Transformers and Switchgears to complete Distribution Systems. It provides products for distribution of Electrical Energy including Medium-Voltage Switchgears, Apparatus and Prefabricated Factory Assemblies. It also provides Solutions and Systems for Distribution of Energy to Rural, urban and industrial consumers as well as for Airport Installations. ABB Automation Technologies blends a robust product and service portfolio with end-user expertise and global presence to deliver solutions for control, motion, protection, and plant integration across the full range of process and utility industries. 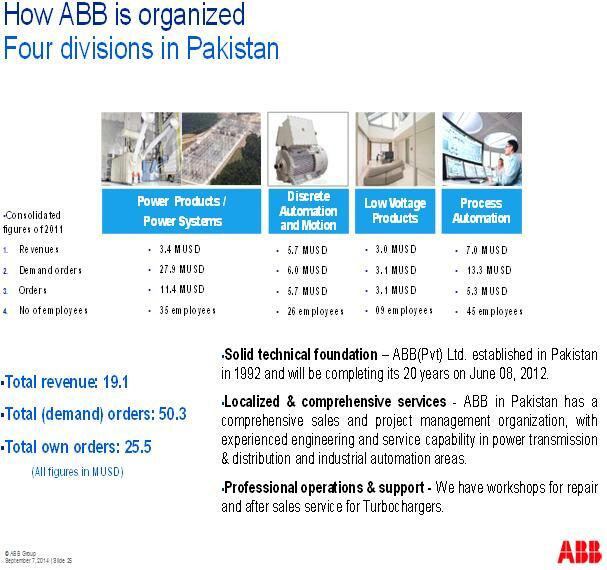 ABB’s Automation Business Segment provide a wide variety of products, systems used in almost all industries as well as solutions for particulars applications and industries, It provides Automation Power Products like Drives, Motors and Power Electronics, Instrumentation and Control Products like Field devices for Sensing, Controlling and Actuating,Analyzers,Metering Equipment, Control and Information Systems, Diesel Engine Supercharges etc..
ABB Oil, Gas and Petrochemicals supplies a comprehensive range of products, systems and services to the oil- and gas-industries, from onshore and offshore exploration technologies to the design and supply of production facilities, refineries and petrochemicals plants. ABB serves as a supplier and business partner for Oil, Gas and Petrochemicals Companies. World’s Fossil Reserves are finite. But they will not run out in the foreseeable future if we use them wisely and replace them with renewable energy sources wherever possible. Advanced, innovative technology is required to make their use sustainable. To be as the most capable and reliable partner while build future competitiveness. We want to become “Main Partners” on the road to excellence, by offering innovative, “Best in class” level products and services by fostering the growth of resources that will play responsibility roles in companies within the ABB Group. We supply competitive, top-market level Consultancy Service. We support change projects including the implementation step and getting the planned results. We optimize all Companies Processes. We promote know-how at international level. We foster the growth of resources that will play managerial roles. By making our customers more competitive in a networked world. We strive to help our customers gain competitive advantage from technology advances and developments in their markets. We do this by creating comprehensive industrial IT offerings that combine World Class products and services with superior domain know-how and collaborative commerce. By offering our employees opportunities to learn, grow and share in the value created by their efforts. We reward creativity, flexibility and results-oriented actions that help make our customers successful. Through adoption of common business processes we realize energies and creativity to focus on serving our customers. By achieving returns that meet or exceed the expectations of our shareholders. We generate the growth that creates investor confidence by managing for value. The power of being close to the market and understanding how we can create more value for our customers will generate the financial strength needed in fast changing capital markets. By living our commitment to sustainability. We strive for a balance in the economic, environmental and social impact of our business and we actively contribute to economics progress, environmental stewardship and sustainable development in the communities and countries in which we operate. Strategies and policies can take us some of the way. But to make real progress, we need to implement our policies and help shape the environment in which we are active. In short, it is not enough for ABB alone to place a premium on sustainability. More, we must constantly strive to transform sustainability into customer values. This is the true challenge before us. Gradually, subtly; every company, government, stakeholder and individual must come to agree that sustainable policies are the only acceptable policies. ABB has been recognized as a Technology Leader for over a century, with many pioneering breakthroughs to its credit. The company invests about 7% of its Group’s Turnover in research and order related development, which is weaved in to a fabric of its business offering. 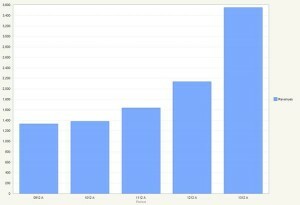 The company have an excellent track record when it come to “intensity of inovation”,with around 75% of their business being based on products developed in the past five years. The ultimate aim of their technology initiatives is to make their utility and industry customers more competitive while reducing environmental impact. In today’s competitive business environment ,all business are sitting radical productivity and efficiency improvements through increased automation and integration of manufacturing and business processes. ABB is spearheading its effort through its open architecture based industrial IT platform aim at real-time ,seam less integration of plant operations and business processes across the entire value chain. The company combines its knowledge of the industry and business processes with world-class products, system and services. This domain competence has been gained through years of experience across industries and in all parts of the world. ABB is also “information enabling” its products, which forms an integral part of the automated manufacturing processes of many industries. ABB is unique in their approach to R&D. The work is organized via research labs in business Areas and Corporate Research centers. Currently it has about 1200 researchers and scientists working in corporate research centers.They also have research centers located in Sweden, Switzerland , Germany , Norway, Finland ,Italy ,2in the US and the latest additional is an Indian center which is first research center in Asia. Combined they have over six thousand scientists and engineers working in R&D in their divisions and in corporate research centers. All of these working hard to invent new technologies, which will insure a continued successful partnership with their customers. Additionally, the fresh and innovative thinking arising from synergies with over 70 universities and research institutes is an important factor in keeping ABB a world technology leader. ABB is signatory to the international chamber of commerce business charter of sustainable development, and in 1992 adopted the 16 principles of the charter as its group-wide environmental policy. ABB’s social policy was adopted in February 2001.it draws on four sources: the United Nation’s Universal Declaration of Human Rights, the International Labor Organizations fundamentals principles on rights at work, the OECD Guidelines for Multinational Enterprises and the social Accountability 8000 (SA 8000) standard, an auditable standard for the protection of worker’s rights developed by the council on Economic Priorities Accreditation Agency. The Controller looks after the overall business and the financial aspects of the Business Unit and reports both to the business Area Manager and the Divisional Finance Controller. His activities are centralized for the Petty issues, known as ‘Group Service System ‘or ‘GP’. 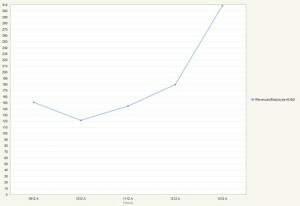 Gross and Net Margins, etc. Receivables Management-Although the Commercial Aspects of receivables Management are taken care of by the Marketing Personnel, the Controller aims at “Reducing the Receivables and Collecting More by visiting the Regional Offices and Meeting the Customers Personally”. Costing-The Controller also monitors the Material Cost and the Overhead cost incurred at the Production Site for each Job. To receive Purchase Requisition from the Planner. This clearly states the Materials, Quantity, Proffered Supplier and the Date by which the materials are required. Satisfied Customers and motivated employees are of vital importance to ABB’s long term competitiveness. The company has a SAP system which covers the transactions relevant to booking of order received from customers, to dispatch of finished product to the customer to the clearance of Accounts. Thus the system covers the areas like order handling,engineering,planning,purchasing,quality control,inspection,stores,manufacturing,servicing and commissioning and accounting. The SAP picks up data from the database and uses this data for the purpose of the above said departments. This system is presently fulfilling all the routine requirements of the users. As I am a student of MBA and I want to specialization in finance, so I spent my most of time in Finance department of ABB. It was the great experience for me to get practical knowledge in such a prestigious organization. I spent Eight weeks in finance department and get knowledge of different sections of finance department. Daily lectures were delivered by managers and officers in which working of different sections and business operations were taught by them. Such environment helped me a lot to learn and understand the Multinational sector. I have discussed the work done by me during internship in ABB on weekly basis. I was assigned as Intern in Power Systems division of company to assist in commercial matters. Power Systems offers turnkey systems and service for power transmission and distribution grids, and for power plants. Electrical substations and substation automation systems are key areas. Additional highlights include flexible AC transmission systems (FACTS), high-voltage direct current (HVDC) systems and network management systems. In power generation, Power Systems offers the instrumentation, control and electrification of power plants. The division is subdivided into four business units – Grid Systems, Substations, Network Management, and Power Generation. I was assigned to study the processes and documentation for order handling. Order process and documentation for Kohinoor Energy Ltd., Sadidians, NSI (Network Service International) and Engro Polymers were reviewed with complete details with commercial executive and project analyst, Ali Manan, as mentor. I completely understood the process and conditions applied by ABB through Performa invoice, acceptance of purchase order (order acknowledgment) to cover and mitigate different risk and exposure e.g. credit risk and currency risk. I also got chance to know about how ABB participates in tenders and give discount to their customers after risk evaluation. There are two types of risk evaluation process in place that are lean risk review and web based risk review. Selection of lean or web risk review is based on complexity and volume of pursuits / projects. I was assigned to coordinate with Shared Accounting Center for clearing customer over dues after receipt of cheque. ABB arranged a customer visit and we attended a meeting with customer Gujranwala Electric Power Co. (GEPCO) to discuss project financials and progress for building two grid stations on Sherawala and Khyali bypass. 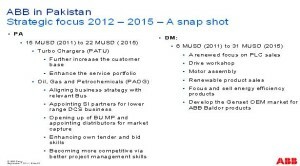 Meeting participants were Ali Manan, ABB’s commercial executive, and GEPCO’s Project Manager, Muhammad Sarfraz. ABB discussed and inquired about their claim amounting to KUSD 42 for reimbursement of taxes and duties paid at port on GEPCO’s behalf for clearance of equipment imported for grid stations. GEPCO’s Project Manager informed that payment is ready in form of cheque but they need monthly sales tax return filed by ABB to FBR to verify tax submitted in Govt. treasury on behalf of GEPCO. 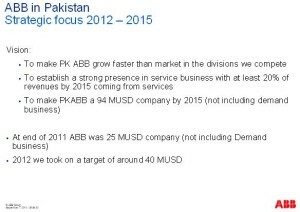 ABB replied that it will submit tax return extract after blanking out the details of other customers and vendors. GEPCO requested to provide tax return without any alteration. ABB requested for time so that they may get opinion from their legal department to check if it’s not against confidentiality policy of the company and local regulations. I was assigned to complete project documentation and store important claims to customer via different invoices in soft form via Xerox document management system in project folder. I was required to file claim for 10% down payment request against variation order received for ongoing project for building grid stations with GEPCO. Participated in monthly financial closing of company and got brief overview of the process. Submitted different vendor invoices (Sangdong Industries, China & ABB AG, Germany) for GEPCO project to shared accounting services center (SAS) for payment processing. I was assigned to file claim for 50% remaining payment request to vendor SEVES(PPC Insulator) against shipping documents while 50% payment already made in form of advance. I was also required to file claim for 100% payment to vendor COELME against shipping document. I was assigned to review the Bill of Lading (B/L) of good imported for customer Fauji Foundation from shipper GEMTA GENEL. I was also requested to review documents for the Goods Declaration (GD), Back Charge (Reimbursement), and Cash receipt for Excise & Tax submitted to Govt. of Sindh. Related To: Management, Organization, Process & Products, Characteristics, Conforming documents, Examination, Audit, Quality assurance for management processes. I was assigned to prepare and arrange Bank draft for purchasing tender documents from Wapda Power Complex Ghazi Barotha-Attock Pak. Hannan Shahid, Project Manager, briefed me about purpose, process and objective of Letter of Intent (LOI). Ali Manan, Project Analyst, gave overview about JSR (Job Status Report) report that was extracted from ERP for project review. I was assigned to review company’s processes for occupational health & safety (OHS). I was requested to prepare a payment request to SAS for 1.5 million dollar against import of transformers for company’s wind farm projects to ABB Hefei Transformer Co.Ltd. , China. 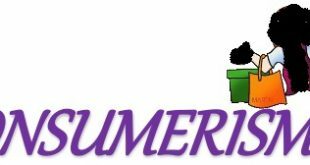 I was also required to prepare a payment request in favor of vendor COELME € 2,300/- as per purchase order. I was assigned to visit NTDC office and get a contract agreement copy. I was involved in preparing claim to Chief Engineer, NTDC, for extension in validity for letter of Credit (L/C) that was opened in favor of ABB. I was invited to company’s Town Hall Meeting in PC hotel where management including Country Manager, Country CFO, HR, OHS Manager, Legal and Integrity Officer, Local Division Managers for Power Systems, Low Voltage Products, Process Automation and Discrete Motion presented company’s progress, targets, challenges and strategy. Meeting followed by Iftaar, dinner and other leisure activities and day ended at very pleasing node. 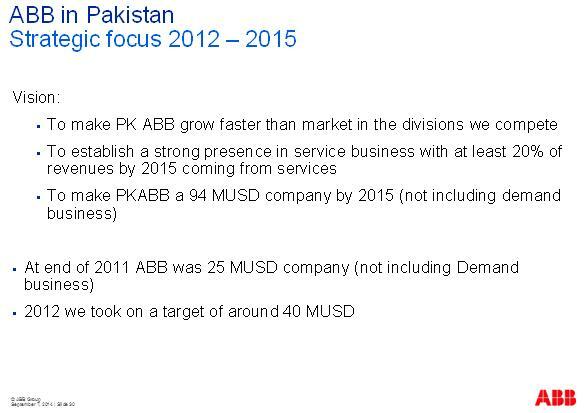 Studied commercial / shipping documents for shipment dispatched to ABB Pakistan by CRESCENT SYNDICATE. Review of procurement process was assigned to me. This review includes review of various forms e.g. quotation analysis form that are used to analyze different offers submitted by vendors, technical evaluation form used for review of technical data, commercial evaluation form used for evaluation of bid price and management approval form to obtain approval for acceptance of recommended bid. 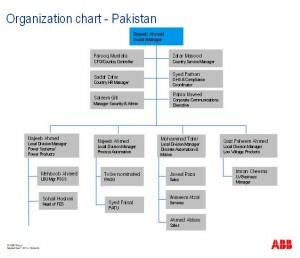 In addition to that also get chance to review ABB’s customer inspection certificate in case of Layyah Sugar Mills Ltd. that are used for taking customer’s acknowledgment for successful completion of service jobs. Interaction and coordination with Northern Power Generation Co.’s Technical Manager for opening of Letter of Credit (L/C) in favor of ABB for supplying Excitation System for their plant at Muzaffargarh under contract signed with ABB, funded by USAID. Data entry of man-hours services was made and invoices prepared on the basis of man-hour cost and equipment price, were sent to Packages Ltd. for payment. 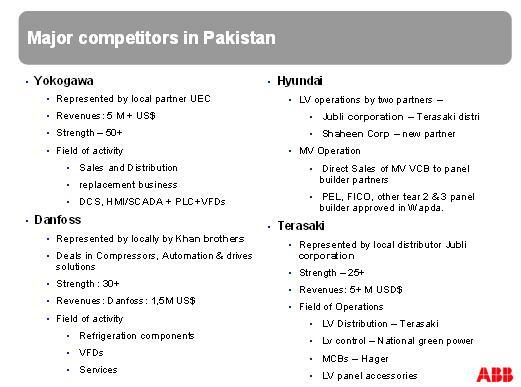 Located Contract agreement with NTDC regarding supply of Static Var Compensator (SVC) for Gujranwala Electric Power Company (GEPCO) and Kotlakhpat Grid Station and contract agreement of Fauji Fertilizer (FF) regarding equipment installation services from record. Documents were studied and copies were sent to Finance Cell for the purpose of resolving tax issues. I was required to prepare and send a bid bond in favor of General Manager Procurement Dept. 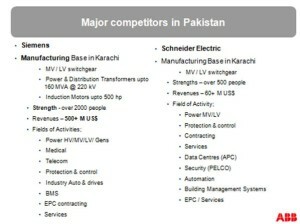 K-Electric, Karachi for obtaining bid documents. A Bill Order Quantity was mailed to Zaki from supply chains assigned, for approval process. A claim of payment request to vendor Unicom Corporation against their invoices was filed with Finance cell, as advised. I was assigned to do search on ABB intranet (inside.abb.com) and study important announcements, different company reports and case studies. Claims of payment request to vendors Huzaifa Traders & M-Tech International against their invoices were filed with Finance cell, as advised. Visited NTDC office for collecting of NOC/Authority letter, as assigned and dispatched this letter to CRR, WAPDA Karachi for clearance and receiving of shipments. Drafted and sent mail to vendor ABB China to provide banking details for advance payment, as assigned. Bid bond from finance department was collected and posted to K-Electric procurement department, Karachi, as advised. Case study of ABB contract to Askari cement Ltd.Wah was undertaken and completed, as an assignment. Arranged return of Bank performance guarantee to Transfopowers Pvt.Ltd on work completion, as assigned. Study of the bidding documents of procurement of Goods/Equipment as assigned to me. A claim of payment request to vendor Newage cables Pvt Ltd. against their invoices was filed with Finance cell, as advised. A claim of payment request to vendor ABB AG Germany against tender fee back charge invoice of DHA-132 KV GIS was filed with Finance cell, as advised. Visited NTDC office for collecting of NOC/Authority letter and acceptance letter as require by custom department after discrepancies in already furnished letter, as assigned, Fax& dispatch to Chief resident representative (C.R.R) WAPDA, Karachi. A claim of payment request to vendor ABB OY, Finland was filled with finance cell as required. 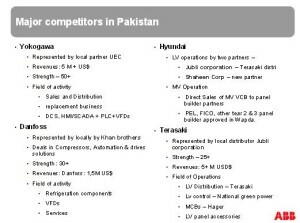 As require Letter with invoices dispatched to NTDC & NESPAK for claim of receivable 80% net receivables while already adjustment include 10% down payment 5% against acceptance and 5% against performance guarantee. Purchase order receives from Avari Hotel for Low voltage product and forward to LP department. Review of UCH Power plant, Islamabad Invoices and dispatched it to same address for required process. Arrange a meeting with Adnan Javed (Business controlling manager) discussion theme was receivables status. Visit arrange to GEPCO site area with site in charge Tariq Aziz of ABB to view technical aspects of Project. Quotation of SVC Project receives from sale officer and sends for approval process to management. 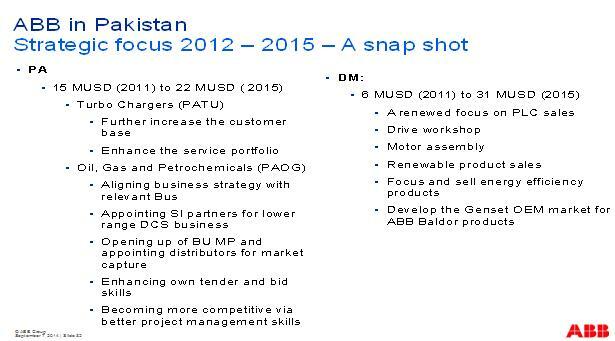 Take a brief overview from Project manager Hannan Shahidabout GEPCO project technical and financial status. Was require to invoices collected from finance cell of Novatex Ltd. Fatima Fertilizer Co.Ltd, Askari cement, Byco Oil and signed from authorized authorities. As require amended Letter of Credit (L/C) of Northern Power Generation Company dispatch to Sohail Hashmi ABB Karachi office. According to requirement Collection of Sales tax invoices of K-Electric From finance cell. Arrival of the goods at customs ports. A claim of payment request to vendor MAICOagainst their invoices was filed with Finance cell, as advised. As require Descon Engineering Invoices receive from finance cell and dispatch to their address. As assigned Quotation of supply of REF 542 plus preparation and approved by designated authorities and coordinate with in line to customer Byco Oil Pakistan Ltd. Arrange a Demand draft for Bid purpose after coordinated with customer K-Electric Ltd. Status of GEPCO visit share with Adnan Javed (Manager Business Controlling) ABB Pvt Ltd.
First of All thanks to Almighty Allah that he give me passion and help me to complete these tasks. After that I am to my Parents Prayers and my University that give me a chance to learn in practical manner related to study and my advisor Shehzad Ghafoor who support me in a friendly environment when require. This is my first time experience to do a work in a world famous Multinational Company ABB Pvt Ltd.I get a great exposure after working in this organization. Practical creativity and Problem solving skills increase in me and learn how to communicate in Business transaction within and outside the organization. 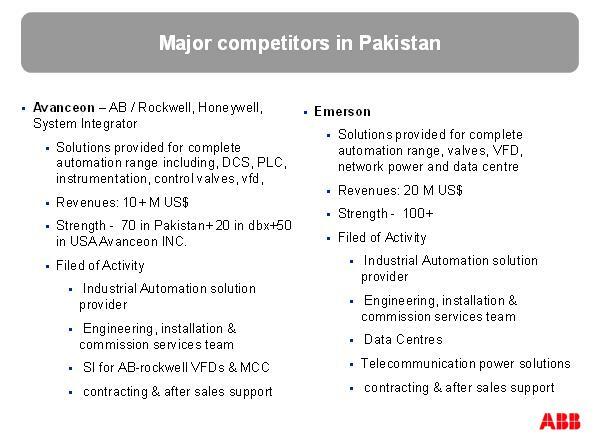 Now I have heartiest relationship with ABB and wish to do work in Future InshAllah. Around 5000 pages contract is made for every project. It includes every kind of communication taken place between the marketing team and client before and after the contract is signed i.e. pre-communication and post communication talks, Price details, material details, duration, penalty clause, bank guarantee etc. Extra stress is given on Code Of Conduct. This means that each and every employee of ABB is bounded by code of conduct. For example they cannot bribe any one for getting their work done; they cannot accept any kind of gifts from any of their clients etc. Shortage of Workforce. Every employee in ABB in overloaded with work, and has to work under certain amount of pressure. Every Project Manager is handling around 5 to 6 Projects simultaneously because of which their efficiency is going down. Work Timings: Reporting time for each and every employee in the office is 9 a.m. and leaving time is 6.pm. but because of their work load employee have no fixed time to return because of which their social life is cut off. 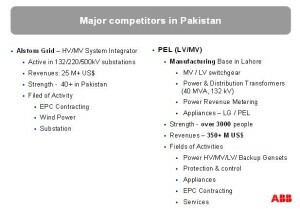 Marketing of LVP products in Pakistan: Marketing of LV products is not done by ABB in Pakistan instead of ABB has unique LV products. Recruitment of fresh engineers must be done in order to release stress from employee and also to increase their efficiency, otherwise the employees will start losing their interest in their jobs and will for a switch over. Fixed office timings: As there is fixed reporting time similarly there must be fixed leaving time as well so that employee can enjoy their personal life as well. 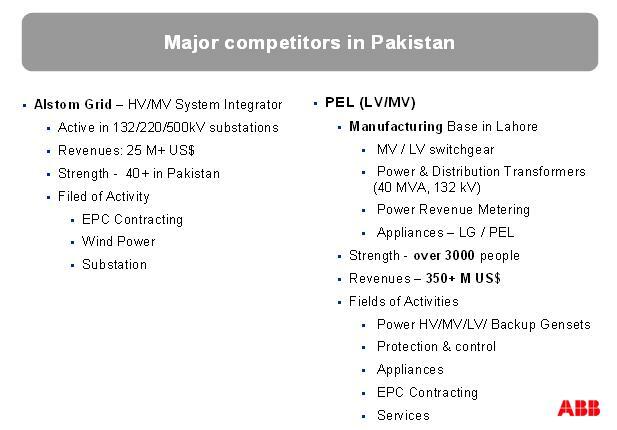 Marketing of LV Products: There should be department in Pakistan that handles the marketing related activities of Low voltage products. Apparatus – Apparatus is a collection of lighting fixtures. Blend – Is a mixture of two or more different things? Catalyst – More reaction due to the participant of additional substance. Dialogue – Written or spoken conversational exchange b/w two or more peoples. Exw amount – Including charges only up to the seller’s factory or premises. All charges from there on, such delivery, distribution, and commissions, are to be borne by the buyer. FOB amount – Free on board (freight on board) price means a price which includes goods plus the services of loading those goods onto some vehicle or vessel at a named location, sometimes put in parentheses after the FOB. Offshore – Located or based outside of one’s national boundaries. Onshore – The process of moving a business operation from overseas to the local country. Propulsion – Is a means of creating force leading to movement?